Study materials for the ACE Personal Trainer Certification come in two options. Each ACE Personal Trainer Study Program features a different combination of study aids designed to help you prepare for the exam and excel at your career. Ideal for those seeking the most complete study experience with premium materials and support or for those with little to no knowledge of anatomy and fitness principles. Ideal for those seeking a self-guided study experience with minimal support or for those with extensive knowledge in anatomy and fitness principles. Move your career further as an ACE Certified Professional and save 20% on an additional ACE Certification. This includes our Personal Trainer, Group Fitness Instructor, Health Coach and Certified Medical Exercise Specialist study programs. *Cannot be combined with other offers. Valid only for currently certified ACE Professionals. Finance interest-free! 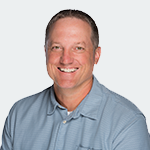 You have the option to divide the total cost of Pro Advantage into four monthly payments of $174.75 or the total cost of Pro Plus into four monthly payments of $162.25. No interest or finance charges will apply, and you'll get all the materials shipped to your house after the first payment is processed. Stay certified, worry-free! In order to maintain current certification, ACE Certified Professionals are required to complete 2.0 continuing education credits (CECs) and purchase a recertification voucher every two years. For a limited time, receive your recertification voucher with your Pro Advantage Study Program! In order to redeem a recertification voucher, ACE Certified Professionals must meet all recertification requirements and still move through the purchase process required for recertification. Once they add recertification to their virtual cart at ACEfitness.org, the voucher will be detected and the item discount will be recognized. This transaction must be separate from the original qualifying purchase. There is no limit to the number of recertification vouchers an ACE Certified Professional may receive. Recertification vouchers must be must be used within 36 months of purchase date of qualifying materials. Recertification vouchers awarded to ACE Certified Professionals who hold more than one certification will be automatically applied to the next on-time recertification processed, not necessarily the next certification up for renewal. Recertification vouchers are only applicable for on-time recertifications, and may not be applied to late recertifications that incur additional fees. Recertification vouchers are non-transferable and hold no cash value. Recertification voucher promotions override all other discount programs and may not be used in conjunction with other discounts. ACE Certified Professionals who utilize the payment plan option for materials may redeem their recertification voucher once all payments have been made. Refunds on materials will not be granted to those who have redeemed their recertification voucher. Those who receive refunds on materials are not eligible to redeem their recertification voucher. Good for 6 months from the purchase date of your study program, our electronic exam vouchers allow you to easily register for an exam administered at a site near you without any additional cost. To redeem, you will simply follow the instructions in your My ACE Account that you create upon checkout. You will not receive a voucher in the mail or email. Exam vouchers are non-refundable and non-transferable. In the event that you are unsuccessful in your first attempt at the ACE Personal Trainer exam, an exam retest voucher ensures you have another opportunity to pass the exam at no cost. You will still have access to ACE Answers as you prepare for your exam retest. If your study program includes an exam retest voucher, it will automatically appear in your My ACE Account if you receive a failed exam score. Exam retest vouchers are non-refundable and non-transferable, and must be used within 60 days after a candidate’s initial failed exam date. Exam retest vouchers are only available to candidates who sit for and fail the exam on their first try, not to candidates who no-show for their first exam. Designed to simulate the actual ACE Personal Trainer Certification exam, our practice tests include 60 multiple-choice questions, detailed score reports with immediate feedback on your performance, and explanations and references for each correct response. Successful performance on the practice test does not guarantee you will pass the actual exam, but it will help you identify areas to spend additional time reviewing. Your study program includes two practice tests. ACE Answers is our self-serve resource center offering a wide range of online study materials that will provide you with additional support as you prepare for your certification exam. Get your questions answered when you access our Facebook community, live webinars, live virtual study groups, exam prep blog and more. Enhance your study experience. Add the 3-piece digital set for $79 at checkout. Enhance your study experience. Add the 3-piece hard copy set for $150 at checkout. ACE Personal Trainer Manual eBook: Electronic version of the ACE Personal Trainer Manual. Rooted in the latest science, our manual marries the most recent peer-reviewed research with input from thousands of top personal trainers and health experts, and the natural evolution of our ACE Integrated Fitness Training® Model proven to help professionals deliver custom, individualized programs that work. ACE Personal Trainer Manual Study Companion eBook: Electronic version of the ACE Personal Trainer Manual Study Companion eBook; printable. Designed to be used alongside the manual. ACE Essentials of Exercise Science for Fitness Professionals eBook: Electronic version of the ACE Essentials of Exercise Science for Fitness Professionals eBook. A core study material for the ACE Personal Trainer Exam, as well as a lifelong career resource, this text covers foundational knowledge of exercise science needed to develop and deliver safe and effective exercise programs. Prepare for the exam with confidence with the newly updated ACE Academy Elite, which provides a guided study experience that delivers a user-friendly approach to the core concepts of exercise science through instructional videos, a sequenced study blueprint, and additional articles and expert resources. 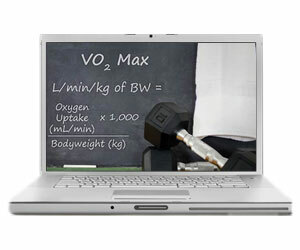 Take your study experience to the next level and reinforce your learning through 24 unique scenarios designed to test your critical thinking skills and apply the key concepts of exercise science to real life situations with Applied Exercise Science Downloadable Activities. Get ready for your certification exam—and your personal training career—with study tips, client assessment forms, tools and calculators, and much more. Get the ultimate exam prep for your ACE Personal Trainer Certification Exam to boost your confidence at test time and help clients in the field later on. This online course valued at $40 reviews critical math skills and formulae used to determine body composition goals, target heart rate, energy expenditure, and food composition through nutrition label analysis. Master the math without a calculator! Free shipping is included for all of your materials via FedEx Ground shipping. Please note this service is only available in the 50 U.S. states. Standard shipping charges will apply to residents of U.S. territories and countries outside of the United States. As an ACE Certified Professional, you get a guaranteed interview for any qualifying position at 24 Hour Fitness, Anytime Fitness, Town Sports International, KoKo FitClub, Crunch, Steve Nash Fitness World and Sports Club, Orangetheory Fitness, and Active Wellness. Boost your business with your free Find Your Trainer (FYT) profile. FYT is the largest marketplace in the U.S. connecting the right trainers with the right clients, and ACE is the preferred certification partner. That means the ACE brand is prominently featured on the FYT site and your profile photo will include a unique ACE badge. Maximize your exposure and streamline your business so you can focus on what’s important: your clients. Earn income for displaying ACE banners and text links on your website, blog, newsletter or social media page. There is no cap on how much you can earn. The more people that purchase ACE products through your site, the more you earn. It really is that easy. In this webinar led by Joanne Blackerby of Spirit Fitness Training in Austin, TX, you will learn critical strategies for approaching an initial client consultation in order to make it successful and effective. Please note: Although this webinar provides valuable information, the content is not required for passing the certification exam. In this webinar led by registered dietician Justin Robinson, you’ll learn why the old adage of “calories in, calories out” is outdated, and how weight management is actually related to three factors: intake, storage and output. Please note: Although this webinar provides valuable information, the content is not required for passing the certification exam. With our Pro Advantage program, you have the option to divide the total cost into four monthly payments. No interest or finance charges apply, and you’ll get all the materials shipped to your house after the first payment is processed. Installments will be charged to your debit or credit card each month. With our Pro Plus program, you have the option to divide the total cost into four monthly payments. No interest or finance charges apply, and you’ll get all the materials shipped to your house after the first payment is processed. Installments will be charged to your debit or credit card each month. As part of our commitment to foster career growth among ACE Certified Professionals, we have secured agreements from a wide range of health and fitness companies nationwide. Identifying yourself as an ACE Certified Personal Trainer or Group Fitness Instructor at 24 Hour Fitness, Anytime Fitness, Town Sports International, KoKo FitClub, Crunch, Steve Nash Fitness World and Sports Club, Orangetheory Fitness and Active Wellness will get you in the door for an interview for any qualifying position at those facilities.